The Whittington Valley is home to a diverse selection of businesses and attractions. The Arkansas Alligator Farm has been a fixture in the Valley for over one-hundred years. Over the course of fifty years, Dryden Pottery has developed a well-deserved national reputation for artistry. Tiny Town has delighted tourists for decades. 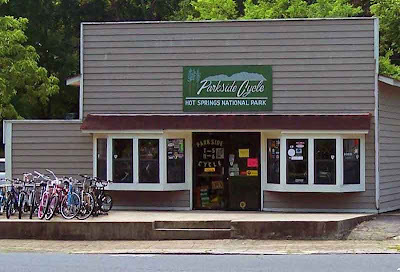 Parkside Cycle offers quality customer service. And the Valley's Artchurch Studio strives to educate and promote the wonders that can be found in the creative arts. Hours: Tue. - Sat., 11 am - 6 pm. Located about midway through the Valley, Parkside Bicycle offers sales and service for a wide variety of road racing, touring and hybrid bikes and accessories. They also offer rentals by the day for those wanting to enjoy a leisurely bike tour of the Valley. Dryden Pottery has been operating from its current location in the Whittington Valley for well over half a century. 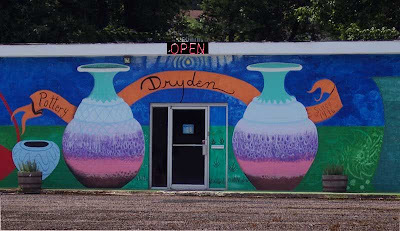 Originally established in Kansas, Dryden Pottery relocated to Hot Springs in 1956 because of the city's reputation as a tourist destination and because Hot Springs was close to many of the raw materials used in pottery making: clay was available from nearby Malvern, Arkansas; talc was in Bryant, only forty miles away; and quartz, used in glazes, could be readily found in the nearby Ouachita Mountains. Dryden Pottery is a three-generation family-run business, with many of the original Dryden pieces now considered "collectible." 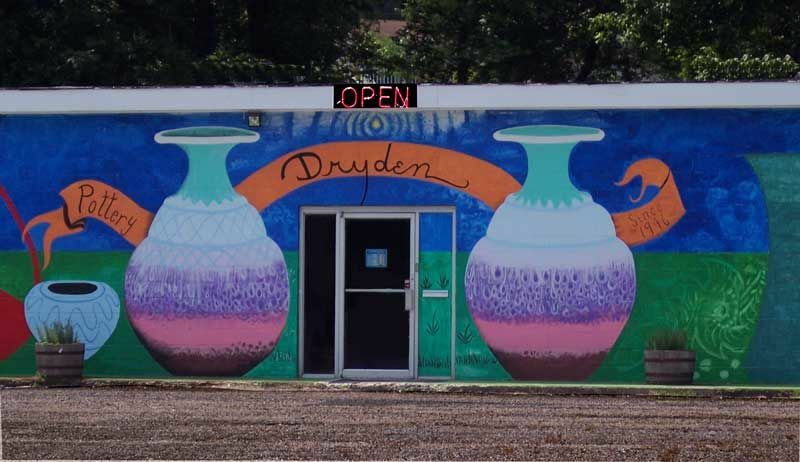 Today Dryden Pottery offers many one-of-a-kind handmade pieces for sale. They also offer free public tours showing how their unique creations are made. Open: March 1st thru Oct. 31st. Hours: Mon. thru Saturday, 10 am to 3 pm. 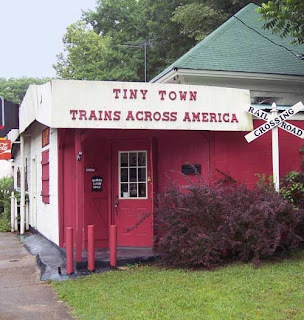 Tiny Town is a unique family attraction--four trains travel through handmade miniature scenes. There’s main street USA (with a car show and an operating fountain), a fairground, a working farm (with the farmer diligently plowing his field and an animated barn dance), a rushing waterfall, two rivers, a miniature public park with a swimming pool and picnickers, workers building a house, forest rangers dealing with bears, several mountains, an airport with a plane circling overhead, and so much more. 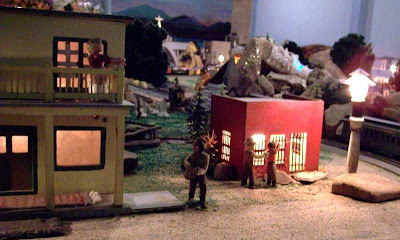 Amazingly, most of Tiny Town was handmade from recycled aluminum foil, toothpicks, wooden spools, coat hangers, sawdust and tin cans. 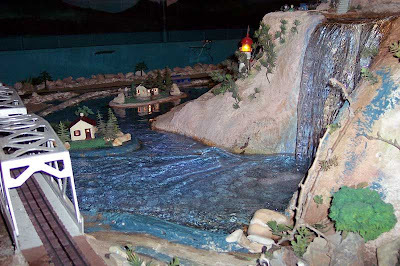 At age thirteen Frank Moshinskie started constructing this miniature world. Every year around the family Christmas tree, Frank would set up his toy train and create a miniature town. Then one year he decided to keep the display up all year round and expand his miniature world. The result soon became a neighborhood attraction in Baton Rouge, Louisiana. Over time Frank turned his hobby into a commercial attraction. 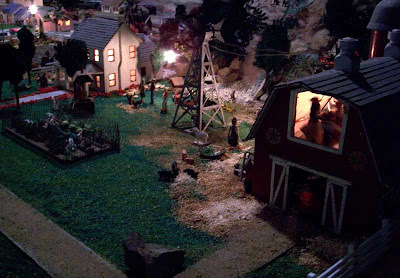 Tiny Town's Farm at Night. A Barn Dance is in Progress. In 1962, a tornado tore the roof off the building in Baton Rouge housing Tiny Town. 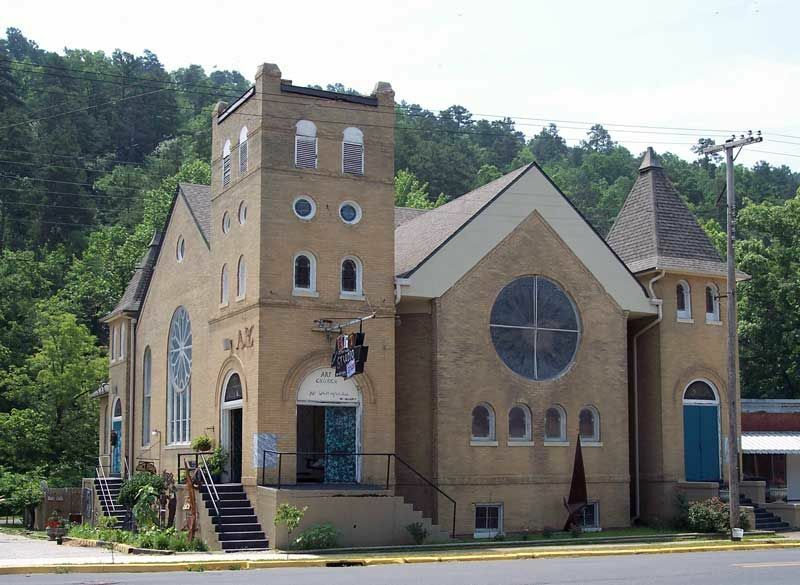 Having recently visited Hot Springs, and being charmed by our city, Frank weighed whether to relocate Tiny Town to Hot Springs. When he added up the potential moving expenses, the bill came to $1,194--and coincidentally the insurance claim for the tornado damage was $1,200. Frank took this as a fortuitous sign and another truly unique attraction came to the Whittington Valley. Sadly, Frank is no longer with us but his son and daughter-in-law, Charles and Barbara Moshinskie, keep the trains running and make repairs as needed to Tiny Town. There are no cheap mass-produced plastic toy buildings in Tiny Town. That is what makes it such a wonderful one-of-a-kind attraction: Tiny Town is imagination come to life. Much of it was made from scratch, using recycled materials, by a teenager who grew up to always appreciate the childlike joy of miniatures. And the best part is that you actually get to remotely operate the trains and many of the animations yourself! 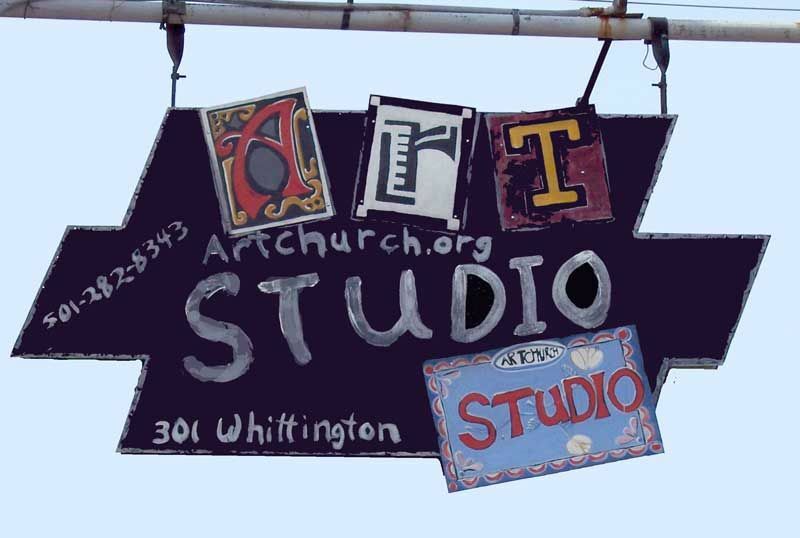 As you might have surmised from the name, the Artchurch Studio is housed in a renovated historic church in the Whittington Valley. The Artchurch Studio is many things. First and foremost it is a non-profit organization that strives to enrich our world through the creative arts. 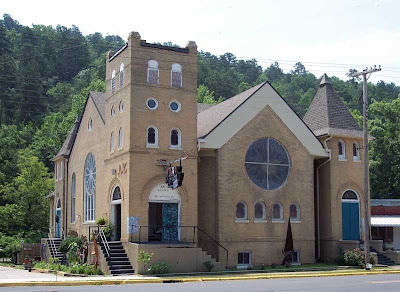 It is also an art gallery displaying the works of many talented Hot Springs' artists. It is a school that offers classes for adults and children in a variety of creative arts including painting, yoga, dance, theater and music. The Artchurch also offers week-long summer day camps for children ages 7-15 taught by experienced state certified and master teachers. The Artchurch also holds an annual silent Birdhouse Auction with all proceeds going to the school's scholarship fund. Finally, the Artchurch Studio is home to talented Valley residents who are preserving a Hot Springs landmark while educating people about the wonders, creativity and inspiration found in the arts.